LAVENDER IS ONE OF THE MOST NOSTALGIC FRAGRANCES, bringing scenes of childhood vividly to the mind: high summer days that last for ever, lavender bushes shimmering against the blue sky, the bees blundering in and out among the flowers, stirring up the intense, sweet sensation. But lavender is much more than just pretty & calming. It is one of the most powerful remedies in the plant world, offering both physical and emotional relief for problems as varied as burns, migraines, insomnia, insect bites, skin problems, infections, stress and nervous tension. It owes this amazing spectrum of healing powers to its complex chemical makeup. 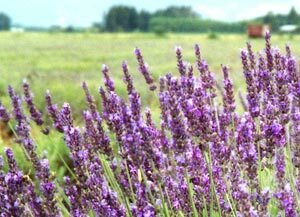 Have a look at our 20 reasons to use Lavender Essential Oil - a remedy for aching muscles, acne, bugs & bacteria, burns, cuts & wounds, earache, eczema, fatigue, fevers, giddy spells, pulpitations, headache, insomnia, long haul travel, menstrual cramps, moths & mosquitoes, sandflies, scabies, shingles, sinusitis, stress & anxiety and sunburn. Lavender is particularly rich in aromatic molecules called esters, which are antispasmodic, pacifying and tonic, while other molecules give it its antiviral, bacterial and anti-inflammatory powers. Of the many therapeutic attributes of Lavender oil, respiratory relief would be one of the most consistently reported benefits. Netherfield Lavender Oil in its purest form is known to be of great assistance to the recovery and protection of the respiratory system. Especially beneficial to the respiratory tract in particular coughs, colds, influenza. Certainly eases breathing when lungs and sinuses are choked with phlegm. Defends system against airborne viruses. A refreshing note to a tired mind - lavender has been named as one of the most useful of the essences for the relief of anxiety and stress. Good for aches and pains and muscle stiffness and may also help with rheumatic discomfort and joint stiffness. The cicatrizant properties of lavender oil are beneficial to healing of wounds including all types of burns and even treatment of eczema, dermatitis, scabies and psoriasis. Avoid in pregnancy, epilepsy and fever. Excellent for aching muscles, relaxation, stress relief. Add 6-8 drops Lavender essential oil after running the water and vigorously agitate water. Add the drops to a capful of milk or Epsom salts and then put in the bath as this helps to disperse the oils through out the water. This is a great way to receive the benefits of Lavender oil. Lie back and enjoy! After wetting your hair, add 3 drops Lavender oil to a capful of water and tip onto your head. Stand under running water and allow oils to rinse off. Cup your hands over your face and breathe in the vapours. Add oils when shampooing your hair and rinse off as normal. Fill the top dish of an 'oil burner' or 'vaporiser' with water and add 6-8 drops of Lavender oil. Place a lit tea light candle in the space provided underneath the dish. This is a very good way to receive the benefits of the Lavender oil. Use in the bedroom or living room. Vaporisation is especially good to use when you have a cold or feel unwell. Keep burner away from draughts and open windows. Hint: use warm water in the dish for quicker results. This is a particularly effective way to apply the oils when you have tight and sore muscles or have sustained an injury. The oils will be absorbed quickly into the blood stream, thus assisting the body and mind. NEVER massage UNDILUTED oils, always use a good quality vegetable or carrier oil. Add 5 drops of Lavender oil per 10ml of vegetable oil. Use 1-2 drops for babies and the elderly. Only use lavender with babies. Good for instant relief from flu, sinusitis and anxiety. Use 1-3 drops Lavender oil and inhale immediately as required. Great for colds and flu or as part of a skin/careacne regime. Add 4-6 drops to a bowl of hot water. Place a towel over your head and breathe in the vapour. Keep your eyes shut. Continue to breathe deeply for a few minutes, occasionally removing the towel and your head from the bowl. Great for tired feet, fatigue or sore/dry hands. Add 4-6 drops Lavender oil to a large bowl of warm water and soak for approx 10 minutes. Then apply a Lavender lotion for added benefits. In a bowl or warm water add 6-8 drops Lavender oil and swirl around. Soak a cloth then gently squeeze out and apply to area of your body you wish to treat. Use cold water for treating new muscular injuries or sprains. After running cold water on the burn for approx 10 minutes, put a few drops of neat lavender oil onto the burnt area (including sunburn). This will greatly assist the healing process. ONLY use lavender. Remember serious burns must be seen to by a doctor. The dosages mentioned are recommended for average sized adults. For the elderly, disabled, the very sick or young children, half the dose is recommended. For more detailed information on the benefits of Lavender Oil contact us for a handout. Netherfield Lavender Mist is refreshing and nourishing for the skin after exposure to the sun. Common therapeutic uses: Sunburn, Windburn, Burns, Inflammation, Cuts, Wounds, Eczema, Dermatitis, Infections, Bacterial conditions, Sores, Ulcers, Acne, Boils. 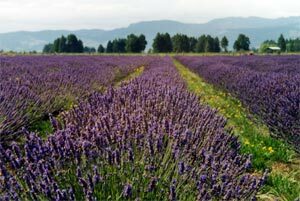 What is our Lavender Mist (Hydrosol)? Reference: Barbara Payne trained in Aromatherapy in the late 1980s. She has taught in hospitals in and around Hull for the School of Health at the University of Hull. powered by Cactus Software Ltd.